Tarsus-Schmarsus – For the fainthearted . . . In a secular world, the old church feast days have been forgotten, but there was a nagging feeling that tomorrow is a significant date. 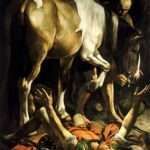 A check revealed it is – it is the day when the church remembers the conversion of Saint Paul. The picture is: Saul. Full stop. Return. New paragraph. Paul. Not so, the lecturers on Paul would say. Saul is supplemented by Paul, he is not replaced; in Jewish communities he continues to be Saul. 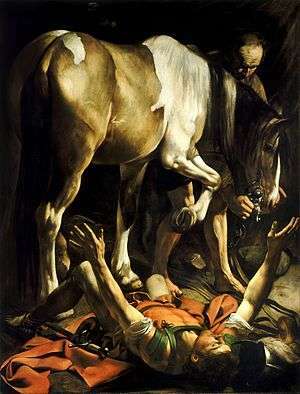 The account of the conversion is in Acts of the Apostles Chapter 9: Saul becomes a follower of the Way. At the end of Acts of the Apostles Chapter 12, it says, “When Barnabas and Saul had finished their mission, they returned from Jerusalem.” At the beginning of Acts of the Apostles Chapter 13, it says, “While they were worshiping the Lord and fasting, the Holy Spirit said, “Set apart for me Barnabas and Saul for the work to which I have called them.”The Holy Spirit is still referring to him as Saul. Only when verse 9 of Chapter 13 does it say, “Saul, who was also called Paul”. Why this note of a change of name? Because Saul/Paul was moving into a Greek-dominated area and Paul would presumably have been more acceptable. Paul’s is a man who is about continuity and change. In his work, Paul is prepared sometimes to shift towards the continuity end of the spectrum, and sometimes towards the change end. Such Pauline flexibility seems a good model for any organisation to adopt. The original Anglican might have something to say to those who are so concerned with change that they throw out continuity.